A baby elephant - his family nowhere in sight - roamed the Olare Orok Conservancy in Africa one night. He was so thin and so alone that it was likely he wouldn't survive long by himself. That fateful night, a research assistant from the conservancy noticed the heartbreaking sight, and that was when everything changed. 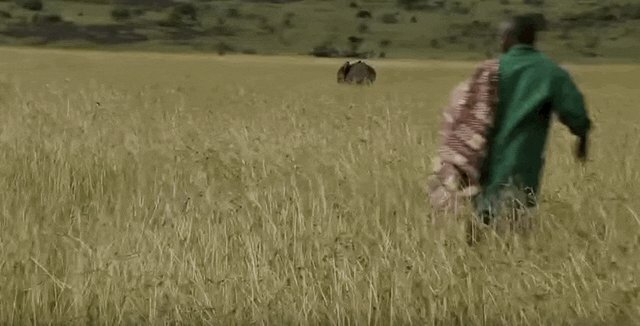 "With no herds in the area, it was feared he might become a meal for predators if he was left alone overnight and we embarked on a dramatic mission to reach him," the David Sheldrick Wildlife Trust (DSWT) posted on its Facebook page. Tusuja, as he was later named, was thought to be around 15 months old, and it was clear he'd been without his family for some time. 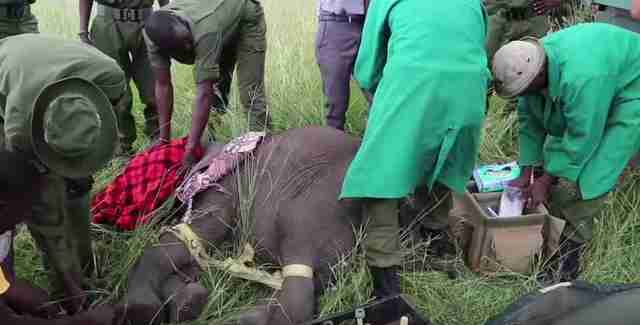 He was caught and brought to safety, but the little elephant was scared and didn't understand that the people were just trying to help him. In the middle of the night, he somehow climbed up and out of the enclosure they'd put him in, and in the morning was nowhere to be found. The team searched and searched for Tusuja, but it wasn't until 11:30 the next morning that they spotted him ... all alone again. Scouts kept an eye on Tusuja from a safe distance, making sure he was OK, until the rescue team from DSWT arrived to get him. The DSWT team was able to quickly catch the frightened baby, and bring him back to their sanctuary, where he could be rehabilitated before being reintroduced into the wild. Tusuja was extremely apprehensive of the new situation he found himself in ... but as soon as he met the other rescue baby elephants, he suddenly realized that he was finally where he belonged. 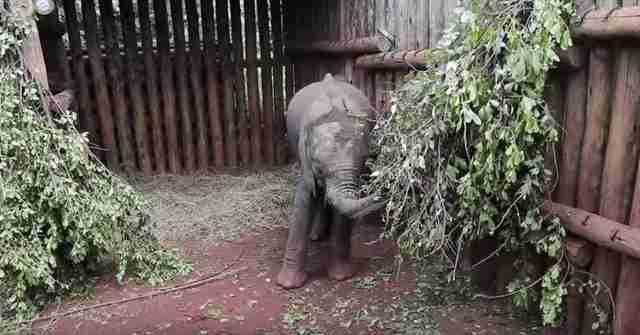 The sweet orphaned elephant had a long recovery period, fighting off a parasite he contracted and regaining the strength he lost from being on his own for so long. It took months before his rescuers could confidently say that he was going to be all right. But now, thanks to the hard work and dedication of the people who saved him, Tusuja is doing just fine, and is incredibly in love with his new friends. He went from being completely alone and struggling to survive, to having more love than he knows what to do with. Tusuja's name means "to follow," and now he will follow the ones he loves and never lose them again.